Donald Trump can't get his poems published. Bill Murray doesn't have an Oscar. And it took decades for mac and cheese and hamburgers to successfully commingle. 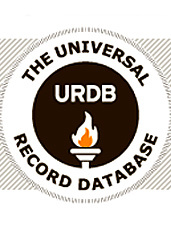 Introducing the Universal Record Database, an online forum of human achievement started by two guys from New York, ensuring that your most impressive, civilization-improving talents can finally be paraded in front of the undeserving masses. This may just be the shortcut to immortality you've so desired: Guinness Book of World Records meets YouTube, with a dash of Hot or Not. You'll notice a few rival records, like most Goodfellas quotes exchanged with a Muppet (28) and most ties worn by a computer resource specialist (50). Maybe you'll humbly nod with respect, or view each of these little triumphs as challenges to the very core of your being (no one—and we mean no one—wears more ties than you). But mostly you're here to introduce the world to your penchant for juggling brandy snifters and your knack for recklessly consuming oysters in Michelin-starred restaurants. Of course, you'll need to furnish proof (a video or doctor's note should suffice) and set parameters so your vanquished rivals can attempt to best your glorious feat. Incidentally, Trump's early haikus: gorgeous. First, We Swim on Rooftops. Then, We Eat Burgers in Rainbow Palm Springs-Inspired Backyards.